The name of the full moon? Pink Moon (April 4th), Birthstone is Diamonds and Flowers, Daisies. This is National Child Abuse Prevention Month. (Please help by reporting any abuse you know of to the police.) Of course, if you have our calendar, you'd know all that cool stuff (as well as when National No Housework Day, National Siblings Day, Earth Day, Arbor Day and Kiss your Mate days all are). Hayleigh was also featured on our Don't Text and Drive billboards. Hers was sponsored by NeuroSpine Institute. (A great place to go when you need it!) Miss April works at Taco Bell, likes to hang out with her friends, take pictures and play with her dogs. She enjoys: California Rolls-Sushi, Blue (the color), Criminal Minds (TV show), shops at Buckle, and hopes to someday become a neonatal nurse (very appropriate to be in the Children's Miracle Network calendar then!). For our Sheldon Calendar (this is the last year that Sheldon will have its own calendar, unfortunately), Miss April is Rachel Hill, also taken at the Wooden Shoe Tulip Farm. Like Hayleigh, Rachel was also crazy and super fun to photograph AND one of my Super Models. She is also featured on our Models Wanted! Poster. Photo below was taken near Halsey. She also was on our Don't Text & Drive ( it's now the #1 cause of teen death) billboard, sponsored by Mercedes Benz of Eugene. We are looking for sponsors for this coming summer. If you know of, work for or own a company who can help us spread this important message, have them email me: Bruce@BruceBerg.com or text 541-543-6596 (just not while driving lol). Then, for her late summer session, to her grandmothers' home out near Halsey. I know you can't see Rachel very well with this cool barn picture, but this dramatic image belongs on her wall, don't you think? I cropped it some, but we have alot more field and buildings in the original. Sheldon High School's Miss April is very active in music and wants to possibly teach high school music someday. Her favorite color is green (Hey, Go Irish! ), food is cereal and Mountain Dew, she likes to shop at book stores and listen to Guns 'n' Roses. Little known fact? Her dream car is a 67' Chevelle. Paid Modeling Jobs in Eugene Oregon: We are now taking applications from Juniors (Sophomores and Freshman can also apply, we will contact them in the middle part of their Junior year). Go here. 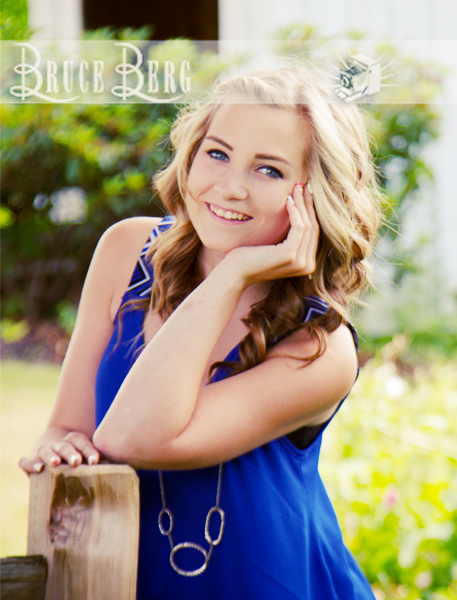 Your Senior Photographs are a once-in-a-lifetime opportunity to have a real professional photo shoot. Don't miss out, it is a great experience!